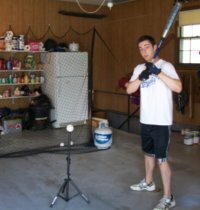 You are here looking to learn how to throw a two seam fastball. I’m assuming you have already got the four seam fastball down pretty pat. In other words, you feel comfortable throwing the four seamer and it is working pretty well for you. And I’m hoping you have a changeup that you can get over the plate on a regular basis and again you feel comfortable throwing it. The four seam fastball and a good changeup are the first two pitches you should learn to throw. And if you are good with them, then let’s move on to the two seam fastball. The two seam fastball is a good choice for your third or additional pitch. It does not have the speed of a four seam fastball, but thrown right, it does have downward movement. It is a good pitch to throw in a situation where you want a groundball. If there is a runner on first and no or one out, then the two seamer just might get you that double play groundball. However, since it does have movement, it is a pitch you would want to throw early in the count. I wouldn’t make it my 3 and 2 count pitch. Your command of the two seam fastball ‘s location will get better the more you throw it. But in the beginning it will take a while to master throwing it for a strike. It takes some trial and error to learn how to throw a two seam fastball. For those pitchers that, for one reason or another, cannot throw the four seam fastball very fast, then maybe the two seam fastball would work better. A pitcher that cannot throw a fastball by very many hitters should have his primary fastball be a pitch that moves. If your four seam fastball doesn’t pop the catcher’s mitt, then work hard to learn how to throw a two seam fastball. If you can get movement and still throw it for strikes, then you will be set. This pitch will get you lots of outs. 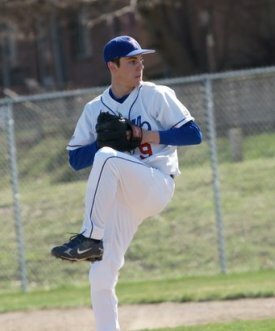 The first step in learning how to throw a two seam fastball is the pitching grip. Get this wrong and you could spend hours of practice for nothing. To throw a two seam fastball your index and middle fingers are placed over the seams where the seams are the closest together. They do not cross a seam anywhere again. The thumb is placed directly underneath the two fingers and it rests in an open spot on the baseball. Check out the picture over at the side. This grip should also sit a little further into your hand. And the grip for the two seam fastball should be a little firmer than the four seam fastball. Now we want to cause a little bit of friction whenever we throw that pitch. 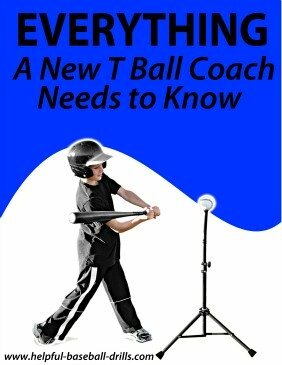 The friction will slow the pitch down, but it will also cause the baseball to have movement. And that is what we are looking for. Step two in “How to throw the two seam fastball” is the release of the pitch. To throw this pitch, the baseball should still not be touching the palm of your hand. But you want the grip to be little firmer than with the four seam fastball. The next step in “How to throw the two seam fastball” is throwing the pitch. 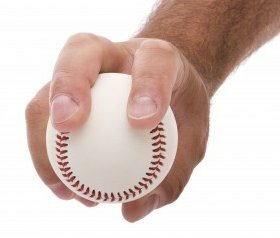 Just like the four seam fastball, you want all the pressure from your pitching hand going thru the index and middle fingers. 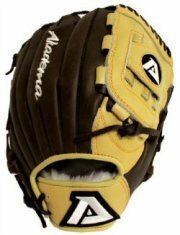 With the two seamer you will try to put just a little bit more pressure on the index finger than on the middle finger. This will create more movement. Everyone’s hand size, length of fingers and arm strength is different. All those factors help determine how you should throw the two seam fastball, as well as many other pitches. Practice and perfect the two seam fastball and you will have added a great pitch to your pitching selections.